Our range of nightstands and bed side tables is extensive. Whether completing a collection for your room or adding a dresser, we have the options that are right for you. Available in many different sizes and finish options, there is sure to be at least one that will complement your new bedroom or existing furniture perfectly. Design : Giuseppe Bavuso. Chest of drawers in glossy lacquered wood or in oak. Chrome-plated steel base. Design : Giuseppe Bavuso. 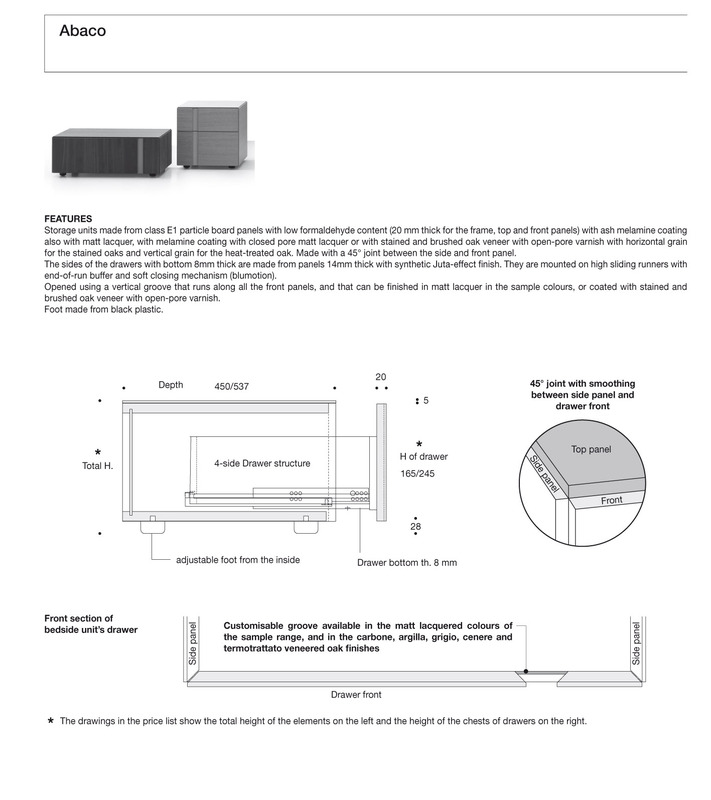 Chest of drawers in glossy or matte lacquered MDF. Design : Giuseppe Bavuso. Chest of drawers. Sides made of Canaletto walnut or in Ebony. Clad in hide on top and drawers. Design : Giuseppe Bavuso. Chest of drawers in matte lacquered MDF or in heat treated oak. Top and base in painted steel.